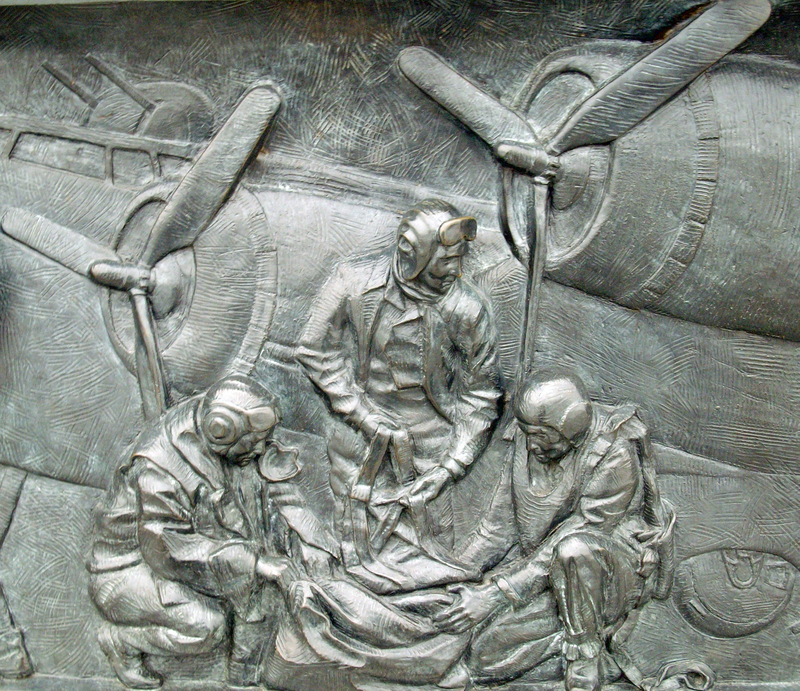 I didn’t notice the bas relief panels the first time I walked into the World War II Memorial. Like many, I was eager to see the fountain and the memorial from the middle. OK, go ahead. But when you’re done, linger at the entrances of the north and south ceremonial walls. There are 12 bas relief sculpture panels on each depicting the Atlantic and Pacific fronts. 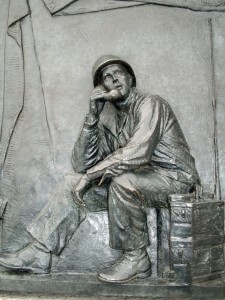 The panels show the complete influence of the war on the country from agricultural and industrial to military and everyday people from the heartland. 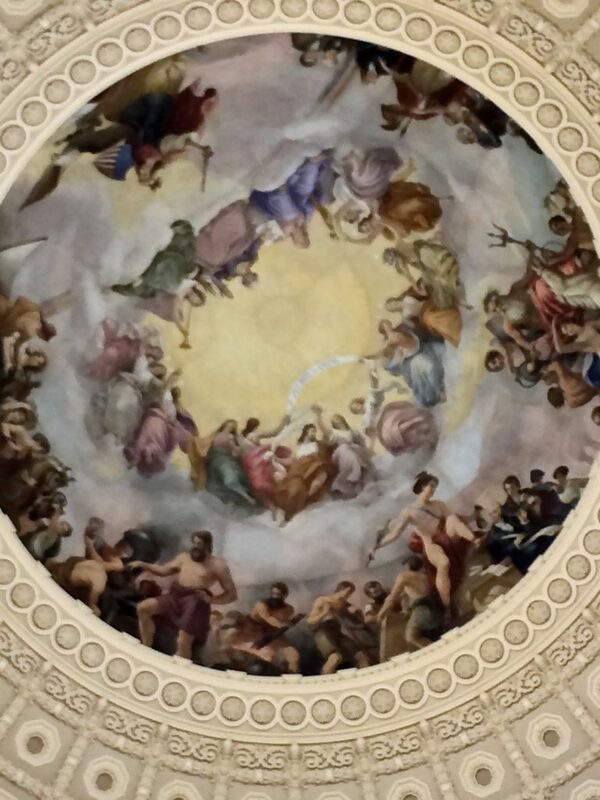 Based on actual photos, th,e bas reliefs were inspired by the Pension Building (now National Building Museum) where the style that makes people the focus of each. 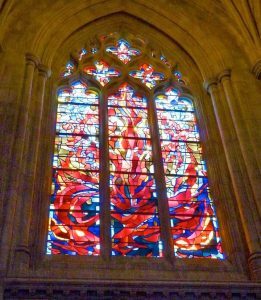 I just added 20 minutes to your visit to the memorial. Gen. Comte Jean de Rochambeau is shown in Lafayette Park as a major general of the Continental Army directing his arm with his outstretched right hand with an unfurled copy of the battleplan in his left. Underneath Rochambeau is the lady figure of Liberty – two flags in her left hand to signify the unity of France and America. He has a sword ready in his right hand to defend the eagle that represents America. The bow of the boat she has just left is seen behind her while the waves break at her feet. The eagle’s right claw grasps the 13 stars that represent the 13 colonies while its left claw fends off opponents. A branch of laurel lies at its feet to signify peace. On the west side is Rochambeau’s family coat of arms while on the east is a coat of arms representing France. On the rear is a quote from George Washington to Rochambeau that they have worked together as brothers. Rocheambeau led nearly 7,000 French soldiers as part of France’s aid to America. He was present at Gen. Charles Cornwallis’ surrender at Yorktown, Va. that ended the war. 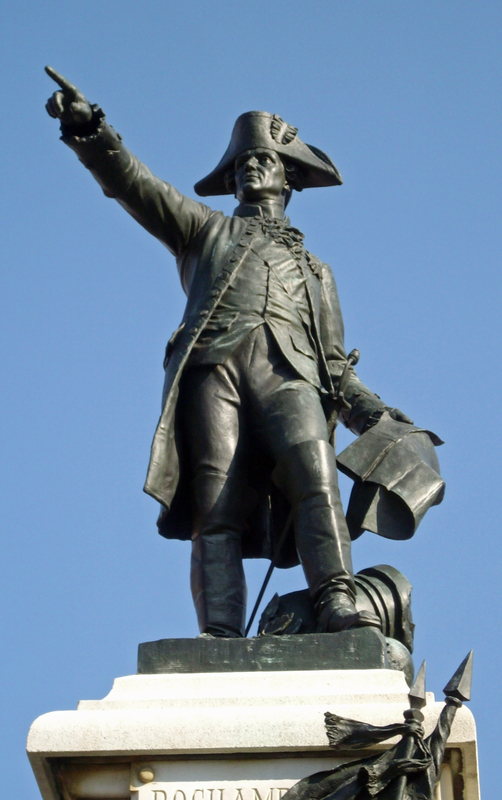 The statue is a copy of one in Rochambeau’s French birthplace. It was dedicated in 1902 by president Teddy Roosevelt with the Rochambeau family onlooking. Everyone usually thinks of Jackie Kennedy alongside her husband John F. Kennedy at the eternal flame in Arlington National Cemetery. 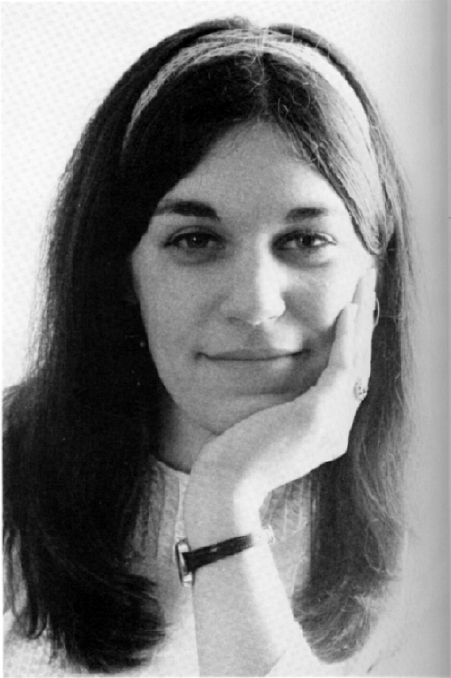 But, you can catch a glimpse of her name outside a one-time dorm along 21st St. N.W. when attending George Washington University. 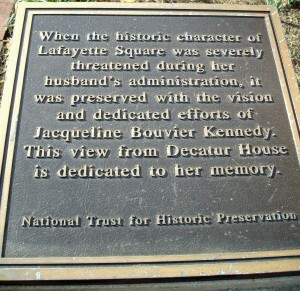 And, there’s a nice plaque in front of the Stephen DeCatur House at 16th and H Sts. N.W. 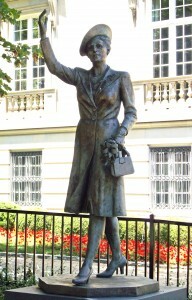 at the northwest edge of Lafayette Park. Why? 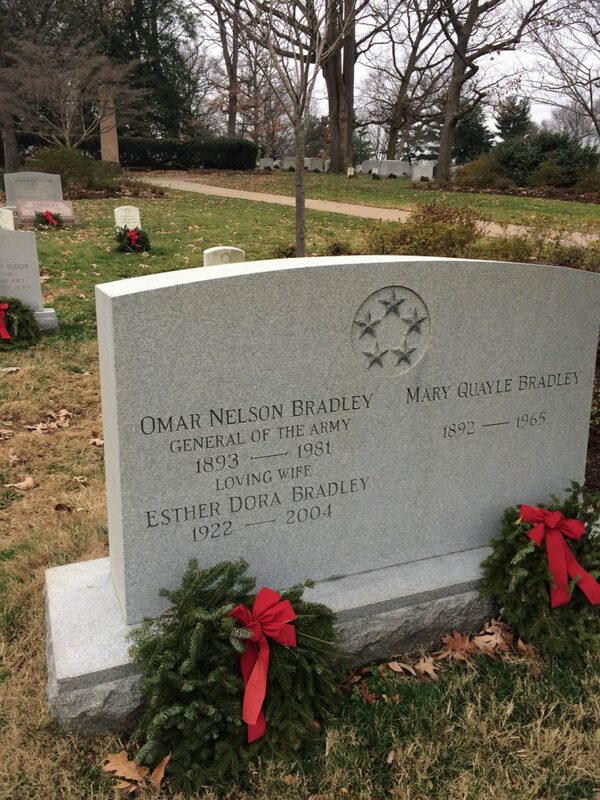 The First Lady probably saved the White House neighborhood. When JFK was in office from 1961-63, Lafayette Park was a mess. In 163 years, the seven-acre lot was a race track, dump, grave yard and even the site of a murder that became the first temporary insanity defense. 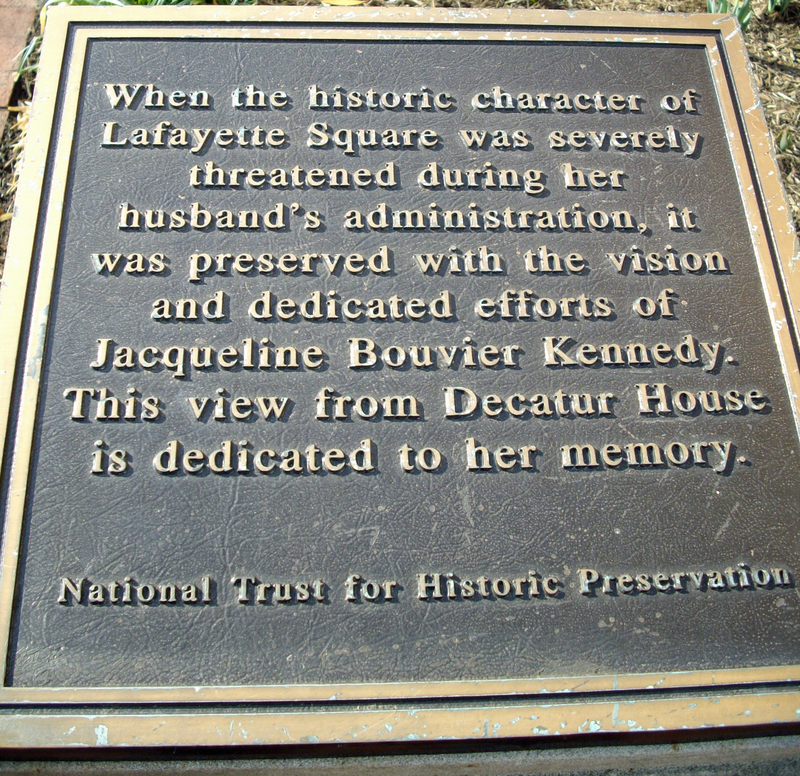 But thanks to Jackie, it was revitalized during her time to become the beautiful park it is today that thousands of people pass to the White House. The grand opening of http://SouthernMarylandWine.com is here. 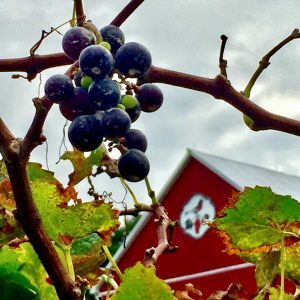 There are a dozen wineries in the three counties south of Washington that’s commonly called Southern Maryland. It’s where I’ve lived most of my life and I was always interested in how the wine industry grew from old tobacco fields over the past decade. I have profiles and photos and lots of information in case you’d like to day trip to visit several of them. I’m just an old writer/tour guide looking in a new direction, but all three are now my day jobs. 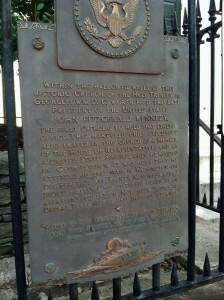 Holy Trinity Church (3513 N. St. NW) was the city’s first Catholic church in 1792. In the early years, parishioners either rented space on the pews or brought their own chair. 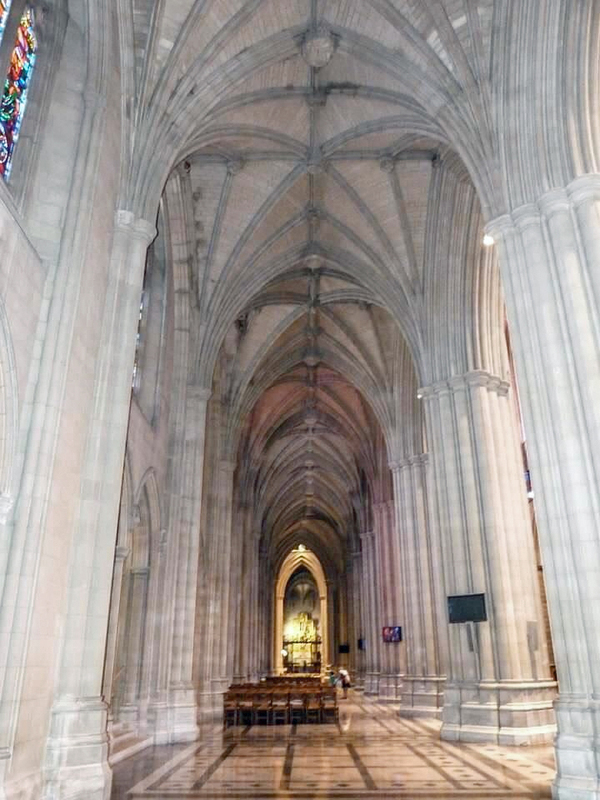 But don’t worry, today’s 10,000 parishioners have ample room to sit. In 1862, 200 military wounded and sick were treated here after the Second Battle of Bull Run. 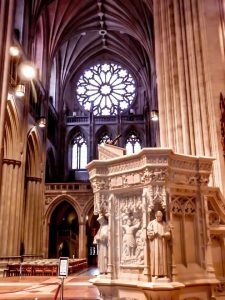 The government used the church for one year before returning it with a $350 payment. 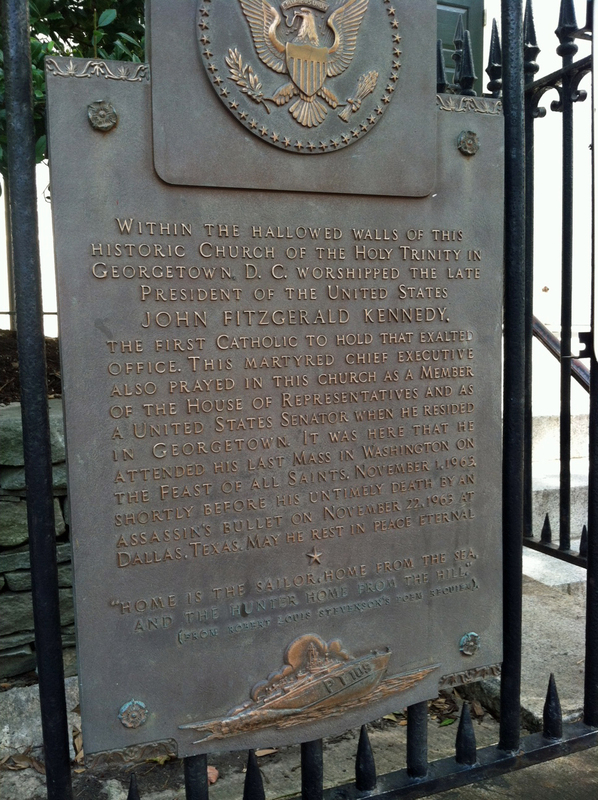 This plaque remembers John F. Kennedy worshipping here regularly until his 1963 death. Indeed, it was the last service he attended before assassinated. I’ve been a tour guide since 2010. I know a lot, but there are so many experienced guides who are walking encyclopedias of knowledge of our town. Still, one incident involving Fala the dog at the Franklin Delano Roosevelt Memorial made me realize some tour guides aren’t as smart as they think. Standing at the FDR when a guide brought an eighth grade class to Fala’s statue, he asked if anyone know where the dog got its name. Naturally, there was a silence. Kids that age won’t even say how they got their name even if they’re a junior. My jaw hit the ground in amazement. 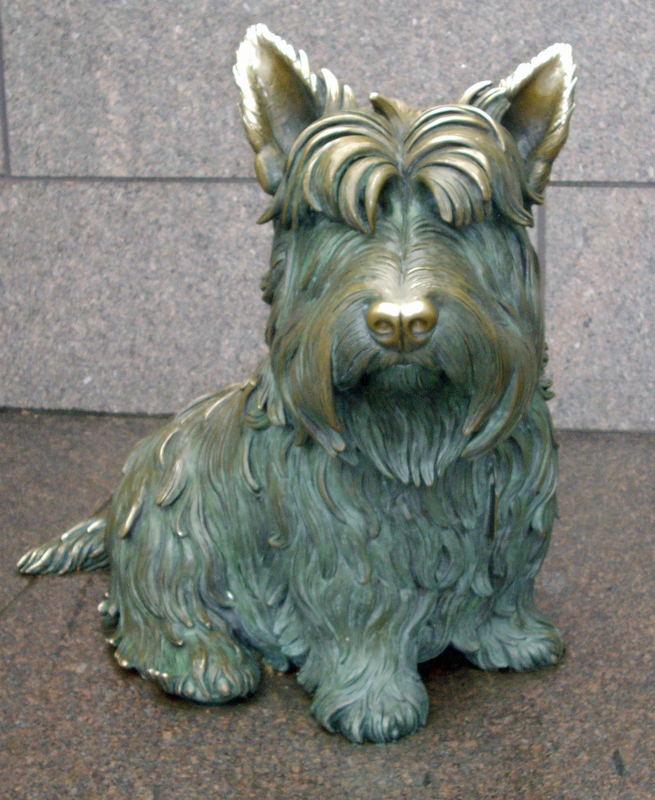 Fala was FDR’s dog and the only presidential pet honored by a statue. But, he was named after Roosevelt’s ancestor John Murray of Falahill, a place in Scotland which is only fitting given Fala is a Scottish Terrier. He was also named Murray the Outlaw of Falahil. 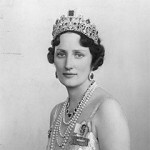 Fala was indeed a Christmas present from FDR’s cousin. Fala (April 7, 1940 – April 5, 1952) was a constant companion of FDR before the latter’s 1945 death. He then lived with First Lady Eleanor Roosevelt, who said the dog merely tolerated her while waiting for its master to return. The end of February has us longing for spring and with that the cherry blossoms to signal warm weather is here to stay. Not that it has been a bad winter in Washington, but who doesn’t wish for nice spring days before the humidity turns summer into a steam bath? 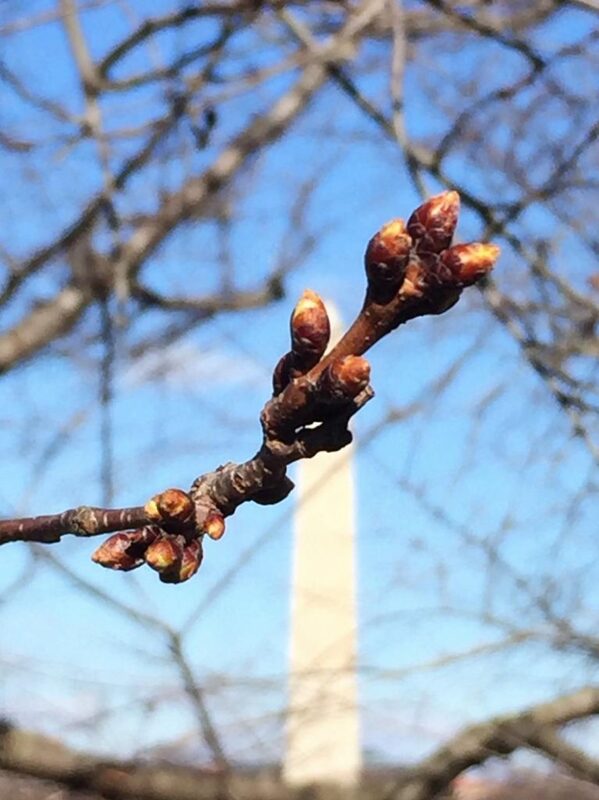 Trees along the Tidal Basin have started to bud, but just barely. My guess, which is as good as anyone’s given forecasters changed their official estimates three times last year, is peak bloom will be early. I’ll make the over/under March 23. The best view in town is . . . Tourists ask this all the time. 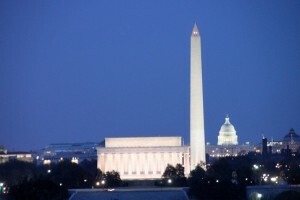 It’s not from the top of the Washington Monument despite being the highest point in town. 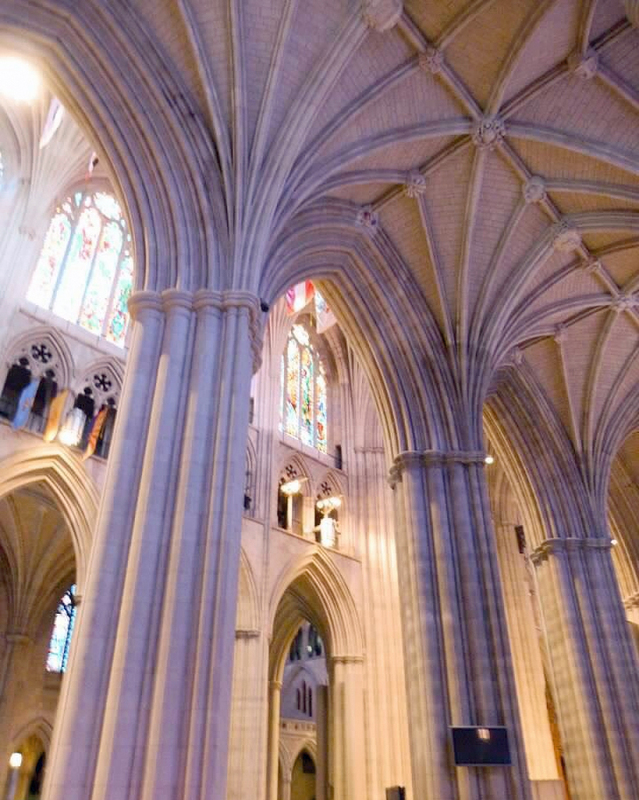 Ditto for the Old Post Office Pavillion or the National Cathedral. And while the porch at the Newseum is great for seeing Capitol Hill, all these points aren’t as good as two places across the Potomac River. 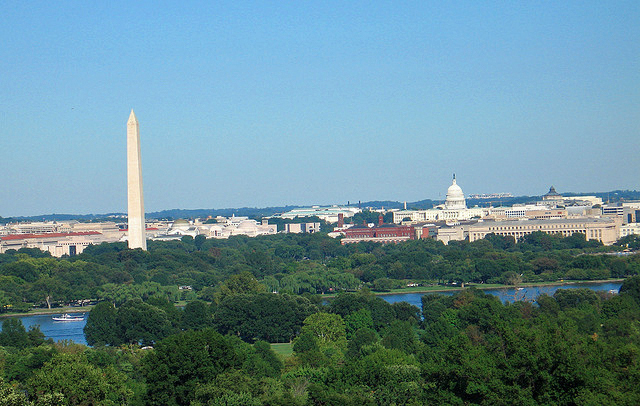 The best daytime view of Washington (above) is from the Tomb of the Unknowns at Arlington National Cemetery. The whole town is layed out in front of you. The same essential view can be seen from nearby Arlington House. 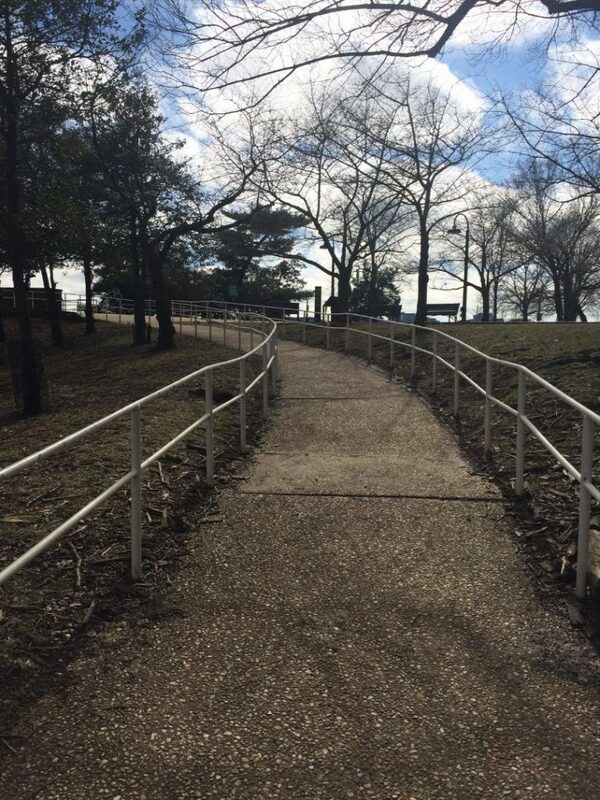 Both require a moment to catch your breath after climbing a steep hill, but it’s worth it. 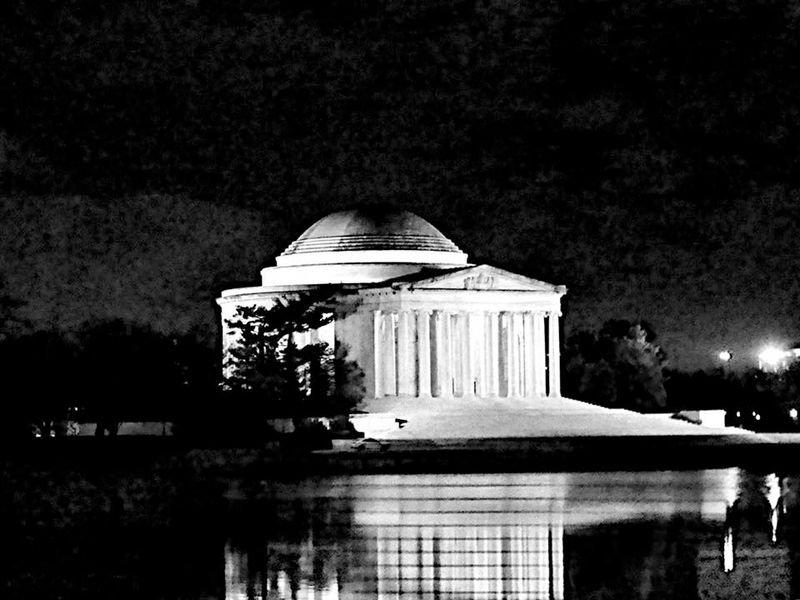 The best nighttime view is from the nearby Netherlands Carillion between Arlington National Cemetery and the Iwo Jima memorial. You can line up the Lincoln Memorial, Washington Monument and U.S. Capitol. The cemetery is closed at night so this is your best stop, though the Air Force Memorial on the other side of ANC is pretty good, too. The most picturesque view from street level is M St. in Georgetown. Just a nice glimpse of the old days. But, Embassy Row along Massachussetts Ave. with its flags runs a close second. 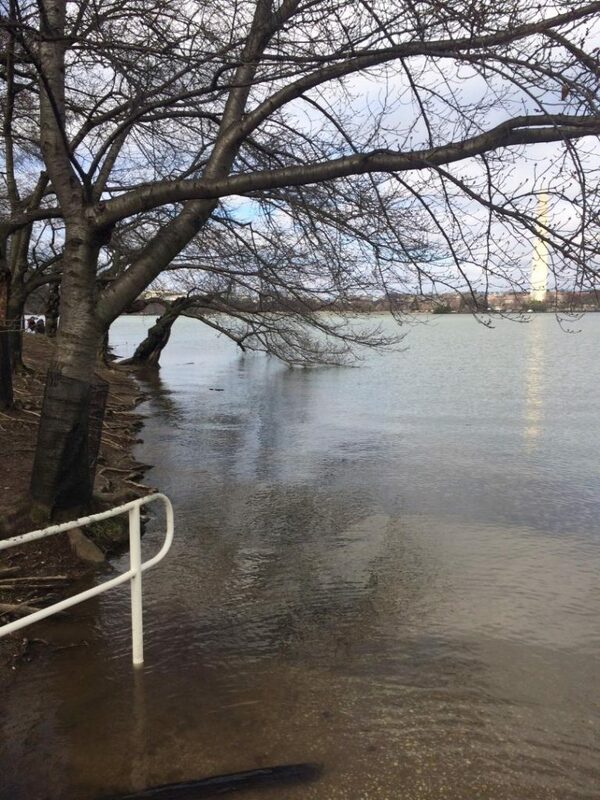 Of course, the cherry blossoms along the Tidal Basin is the best, but only lasts a week or so. The press and politicians have always had an uneasy relationship. But, it was deadly once inside the U.S. Capitol. Louisville Times reporter Charles Kincaid wrote a story on Kentucky Congressman William Taulbee cheating on his wife while in Washington. The scandal was enough for Taulbee not to seek a third term and become a lobbyist. Taulbee and Kincaid became enemies over the next three years with Taulbee often bumping the reporter when passing. The two finally came to blows on Feb. 28, 1890 and were separated by House doorkeepers. Taulbee warned Kincaid to arm himself. 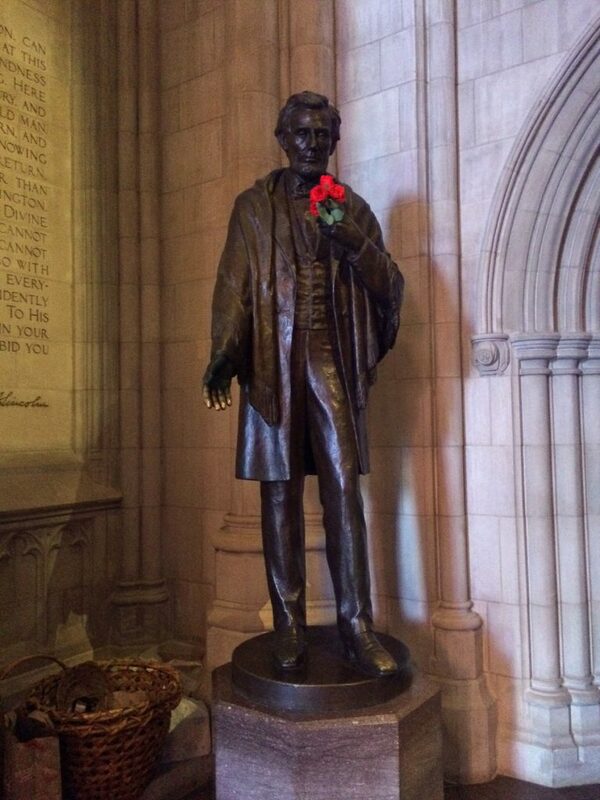 So, Kincaid went home for his gun and returned to shoot Taulbee on the east staircase of the Capitol. Taulbee died on March 11. 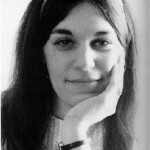 Kincaid was later acquitted of charges on the grounds of self-defense. 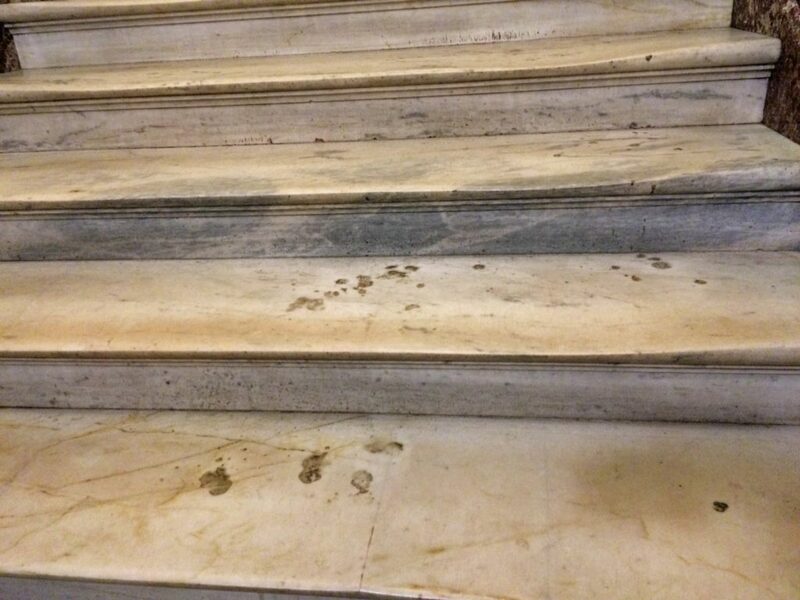 The enduring part of the tale is Taulbee’s blood is still splatted on the stairs 127 years later. Marble is very porous and stains are hard to remove. And in this case, it remains a reminder not to mess with the press. What is a tour guide and sports writer doing with wine website? Telling stories, of course. Southern Maryland is undergoing a wine awakening. More than a dozen wineries now dot the landscape where tobacco was once king. I’ve lived in Southern Maryland since 1962 and seen the changes from open fields to housing developments and wince every time green hills are converted to blacktop. But the Big Tobacco settlement 20 years ago induced some farmers to give up tobacco. And, the really smart ones started wineries that led to others doing so. And now there are great stories to tell and an emerging market to follow. Southern Maryland really isn’t that far, though I remember when Waldorf couldn’t even make the weather on local TV. Too far out. In reality, a Saturday trip from the U.S. Capitol to Brandywine, Md. where four wineries begin your trip into wine country takes about 30 minutes. They’re much closer to town than the ones in Virginia. Tasting rooms combined with farm life make a nice staycation. 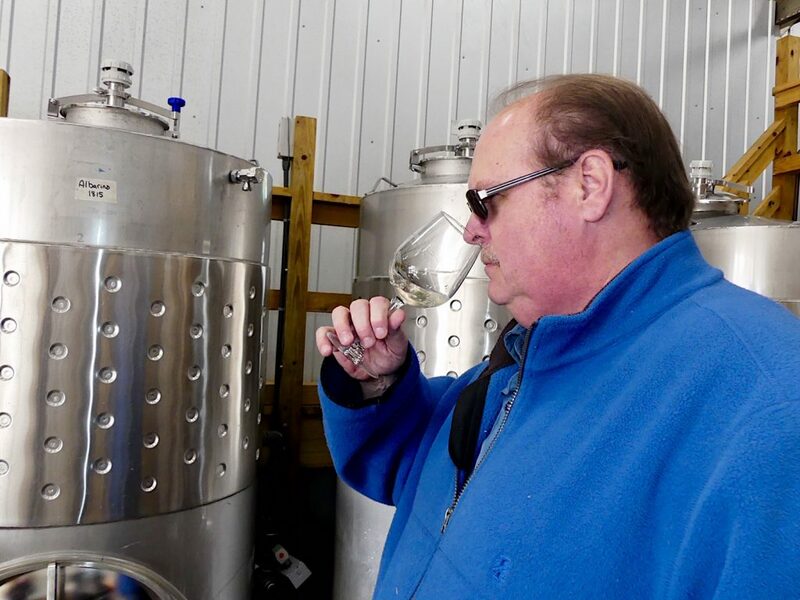 Visit Southern Maryland Wine to see all the great stories plus the latest news in the wine industry. The first impression is it’s some sort of fire plug. Instead, it remembers a terrorist act along Embassy Row. 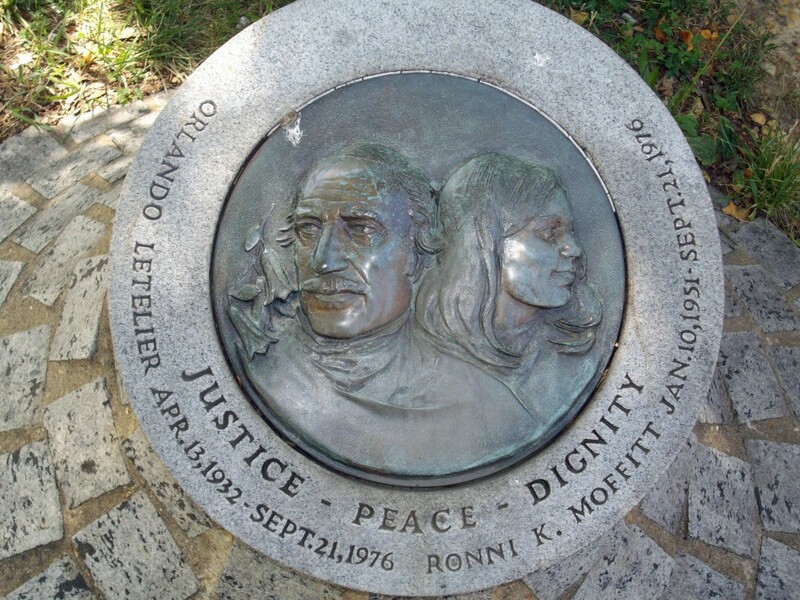 Chilean exile Orlando Letelier and co-worker Ronni Moffitt were killed by a car bomb on Sept. 21, 1976 where the monument now lies along Sheridan Circle on Massachusetts Ave. Ronni’s husband Michael Moffitt suffered only minor injuries because he was in the back seat. A car bomb on Embassy Row? Hard to imagine. 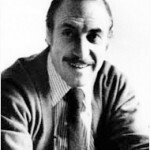 Letelier, 44, was a high-ranking official under Chilean president Salvadoe Allende, whose three-year government was overthrown in a coup by Gen. Augusto Pinochet. Allende was killed during the takeover. 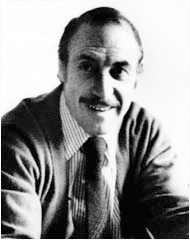 Letelier spent one year in a concentration camp before exiled from Chile. He came to Washington to work for the Institute for Policy Studies, a think tank that allowed Letelier to travel worldwide lobbying for sanctions against Pinochet’s government. Moffitt, 25, was a fundraiser at the Institute for Pubilc Policies. The Maryland graduate earlier worked as a teacher for underprivileged children. Pinochet tired of Letelier’s efforts and reportedly ordered the assassination. Moffit was unfortunately next to Letelier. Michael Townly was sentenced to 10 years imprisonment for his part of the murders. He was released after five years and entered the U.S. witness protection program after testifying against two Cuban accomplices who received life sentences. Pinochet was implicated, but never indicted for the murders.